I've found the perfect scarf for cold weather! 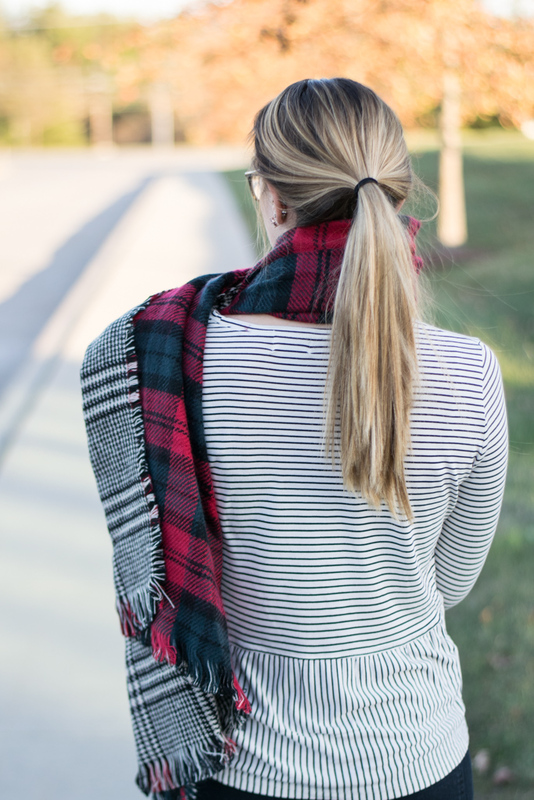 What I love most about this scarf is that it's reversible so really it's like 2 scarves in 1! 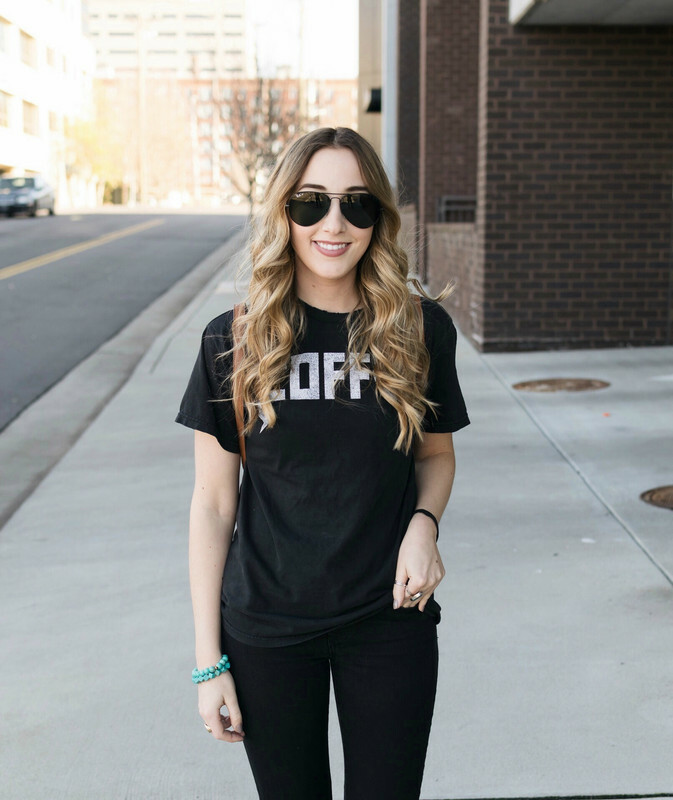 At under $30 you can't go wrong- and both the prints are so cute. 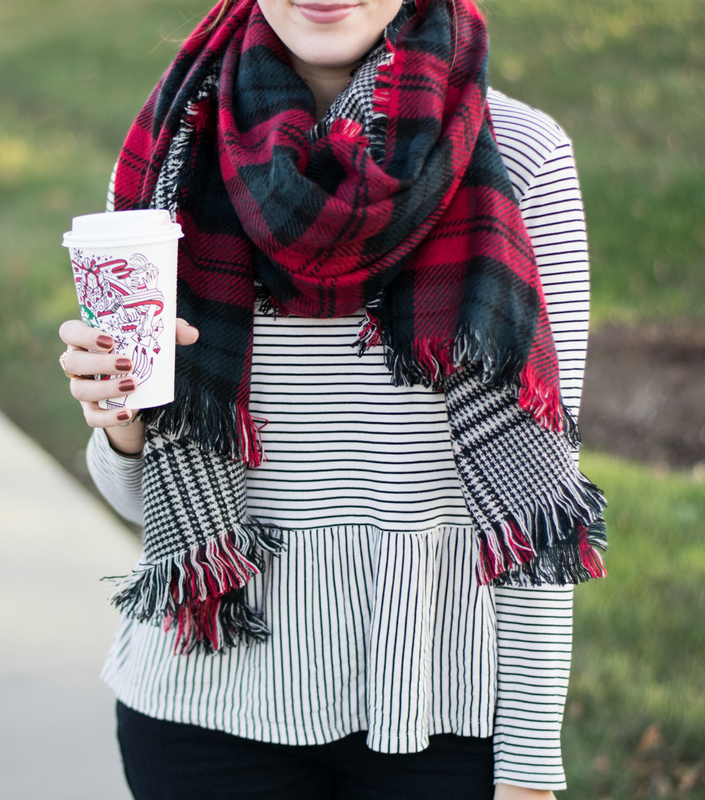 I paired this cozy scarf with a simple striped peplum top, I love mixing prints and stripes are mild enough to pair with a red plaid. As you can tell you can wear this scarf a few different ways. I personally like wearing it as more of a shall/wrap. I find myself feeling a little trapped if I wrap it fully around my neck as the scarf is so big. This scarf truly does keep you warm and is perfect for a freezing cold day- it's not just a cute accessory. This would make a great gift for any of your girlfriends this holiday season! 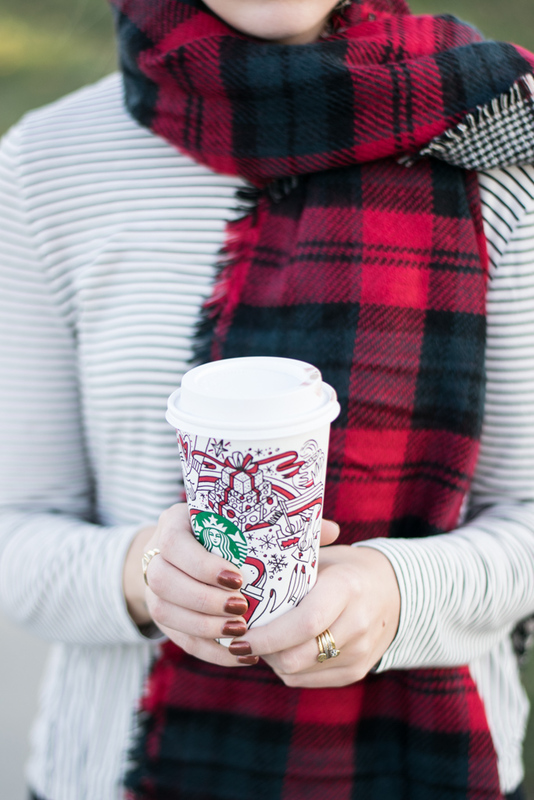 Also as a side note how cute are the Starbucks holiday cups!? Mines filled with just hot chocolate! Loving that scarf! It looks so cozy! Even though I live in FL I definitely love scarves! I want a blanket scarf so bad, they're so cute! Loving the scarf! I wish we needed them more here in Texas. That scarf is amazing! So unique! This is so cute! I actually have this on my Christmas list! 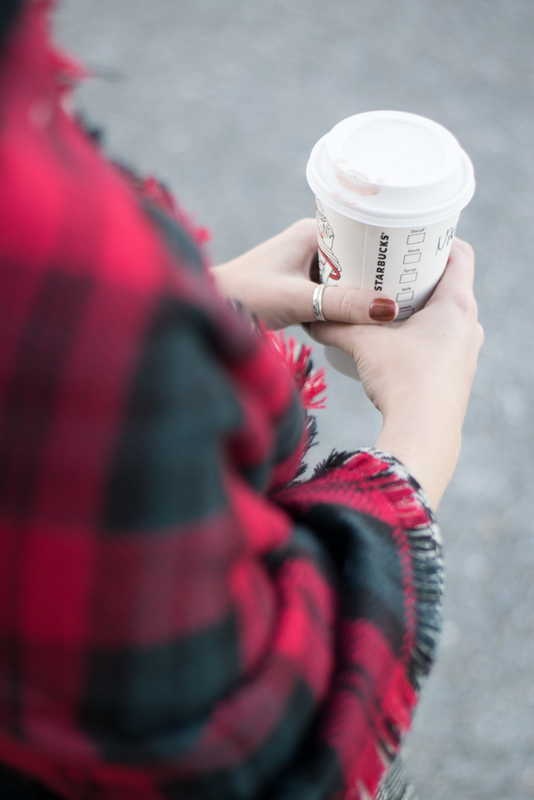 I've been living in my blanket scarves the past couple of weeks! 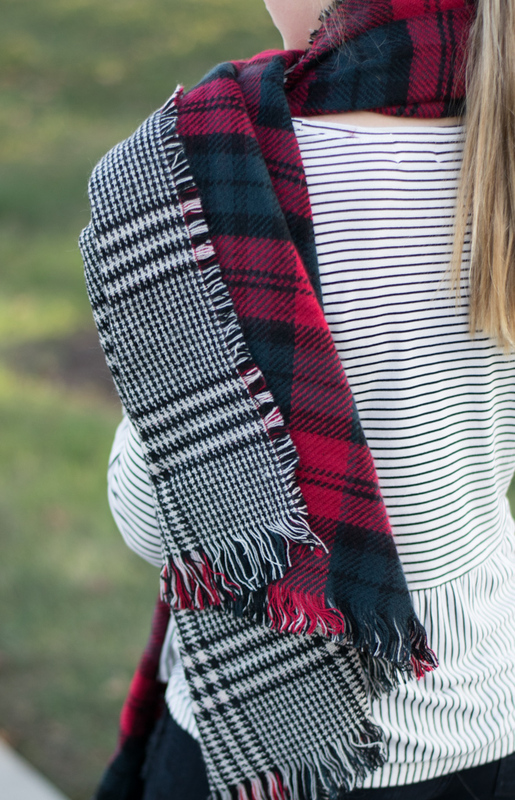 That blanket scarf looks perfect for the cold temps we've been having! 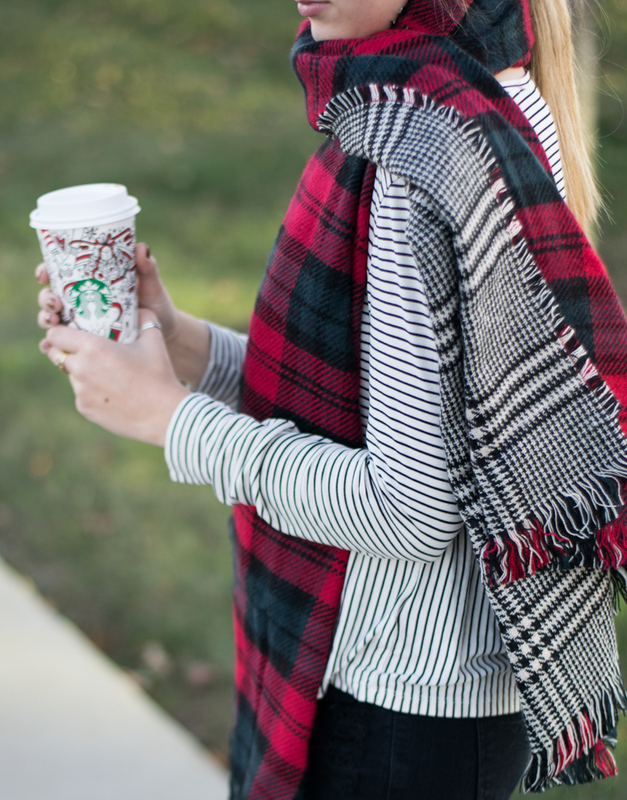 This scarf is so cute! I haven't seen a reversible one like this before. Super cute! I love that it's reversible! That scarf is so stinkin' cute! Love the colors and the pattern. i neeed to get myself a blanket scarf! Its so beautiful in plaid too! 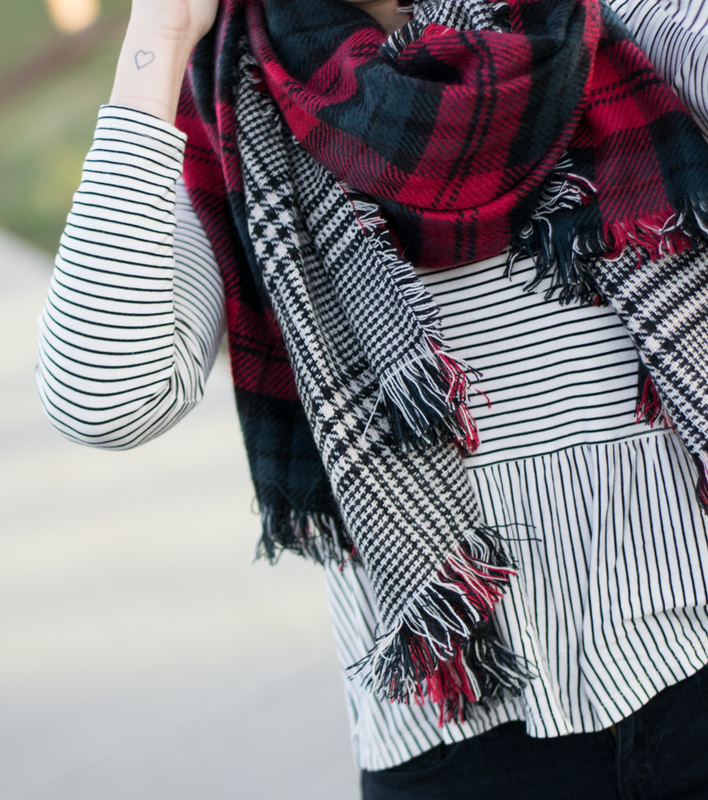 This scarf is so cute and versatile!